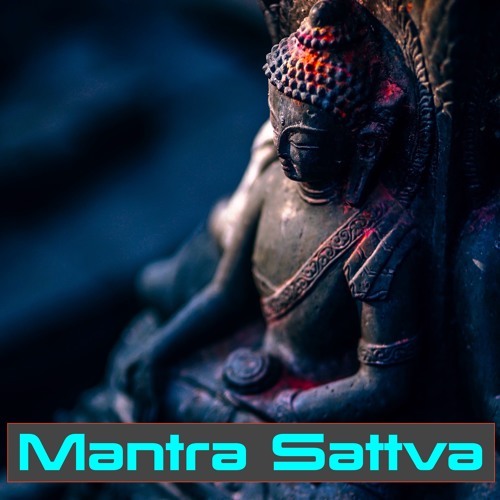 This mantra reprograms the bodymind, to increase the Life Force charge of its biochemical meridians. Its rhythm and vibration activates awareness of the indwelling of Spirit, the syllables dynamic thought form adjusters of the bodymind. This influences how reality is perceived. A shift in consciousness thresholds take place as the bodymind begins to vibrate in resonance with hitherto unperceived dimensions. The Gates of the Samadhi threshold is reached. The mantra itself, and further practices, then takes the practitioner through this Gateless Gate. See my ebook The Gateless Gate of Samadhi on Kindle: https://www.amazon.com/dp/B07NCVNLHD/ref=sr_1_1?s=digital-text&ie=UTF8&qid=1549306900&sr=1-1&keywords=The+Gateless+Gate+of+Samadhi Production note: all my vocals and guitar parts are first takes, they're not perfect but I kept them to create a live performance feel that nicely matches the 3 or 4 piece live band appearance of the backtrack (created in Logic X with virtual instruments).. Cover design: Photo by Fancycrave on Unsplash. (Photo edited).